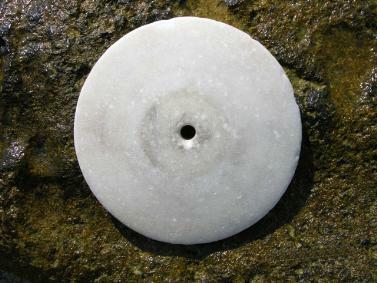 During his daily swim in Palmahim beach, a lifeguard found a marble disc with a hole in the middle and the remains of two painted circles suggesting the pupil of an eye. It dates from the 4th or 5th c. B.C. and was most likely affixed to one side of the ship along with a companion on the other side. “We know from drawings on pottery vessels … that this model was very common on the bows of ships and was used to protect them from the evil eye and envy, and was meant as a navigation aid and to act as a pair of eyes which looked ahead and warned of danger,” Sharvit told The Associated Press. 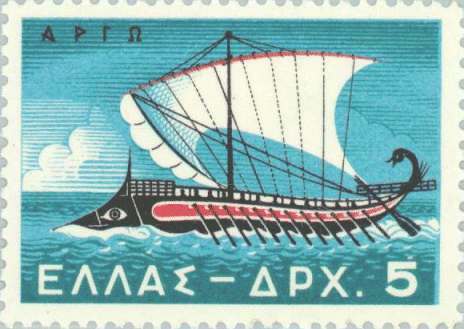 “But we thought the eyes were only on fighting ships, not merchants ships. Only four eyes like these have been discovered in the world,” he added. It’s like the Argo, Jason’s ship. Remember it had eyes painted on each side of the prow. Or at least I always thought they were painted directly on the wood. Maybe they were painted on marble discs instead.